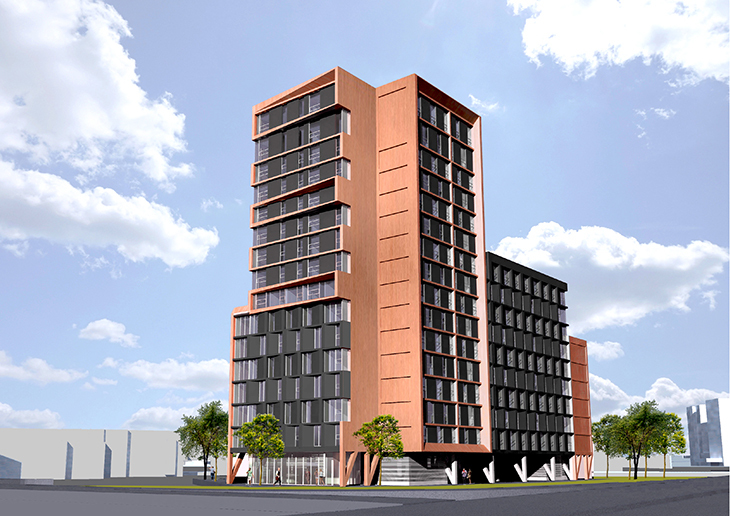 The 17 storey residential tower scheme on Phoenix Street provides 195 one and two bedroom apartments with on-site parking for the Private Rented Sector. The scheme has been designed to maximise the opportunity of one of Derby’s key gateway sites to support the needs of Derby’s growing population. 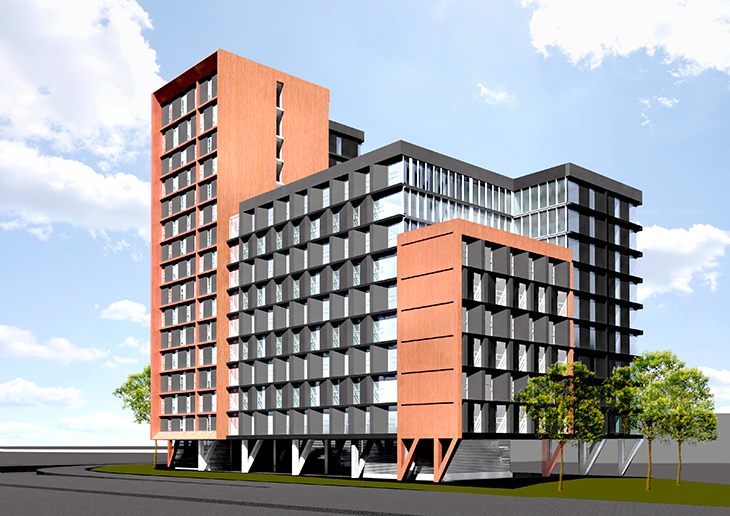 The design incorporates a ground floor ‘Pop Up’ facility that will provide tenants with on site amenity and an active street frontage that will connect with the local population. 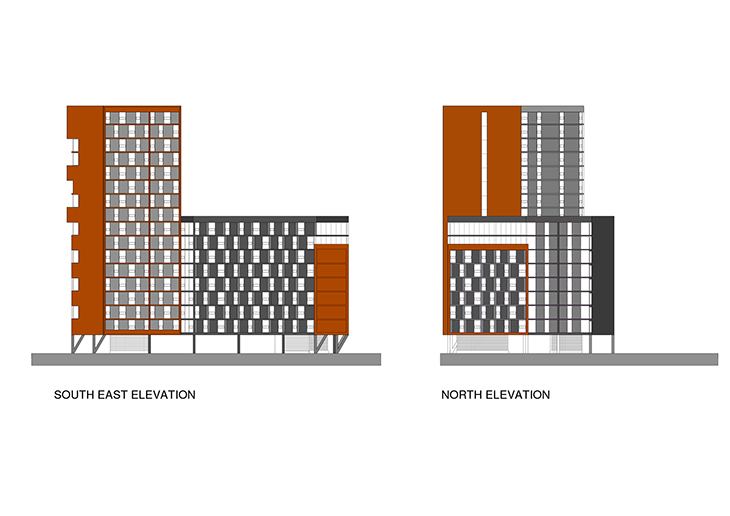 Conceptually the building was developed to mitigate the potential bulk of unit numbers. 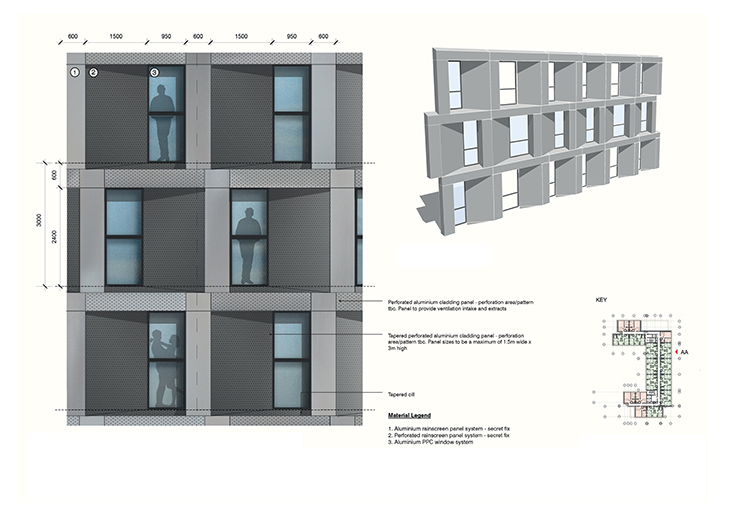 Thus the overall massing of the scheme is delivered as a collection of smaller boxes all related through a consistent architectural vocabulary. Rectilinear forms, clean simple lines and a limited materials palette aim to reinforce a lighter envelope and minimise a ‘cluttered’ presentation.